Play a new twist on Twister or a bouncy game of memory. Best of all is seeing your kids make up their own games...no screen attached! 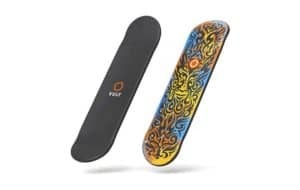 The Vuly deck is a fun way to develop new tricks and catch big air! Rebounding on a trampoline is a great exercise for everyone in the family! 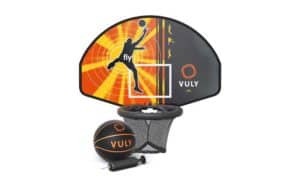 Vuly's basketball attachment unites bouncing and basketball in a fun new way! Cover up your Vuly Thunder on a hot day for a fun way to get the kids outside when the days get toasty! The backyard favorite - redesigned! 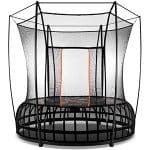 What makes Vuly Trampolines The Safest in the World? These trampolines are designed with high-end materials without using a single nut or bolt to hold it together. Your children’s fingers and toes are completely safe. Unlike traditional coil springs and rods, the newly designed leaf springs enable a perfectly upright and vertical bounce to ensure safety. This greatly reduces the chance of injury compared to some of the competitions springfree products. 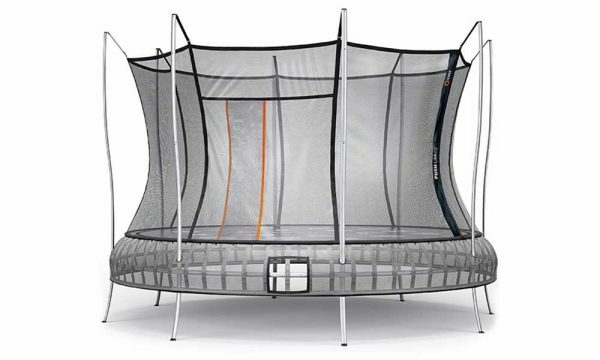 You can tell it's not a Vuly Trampoline because of the noticeable slanted rods that give a horizontal and uneven bounce. This tends to slightly twist the body when jumping causing potential harm to the knees and back. 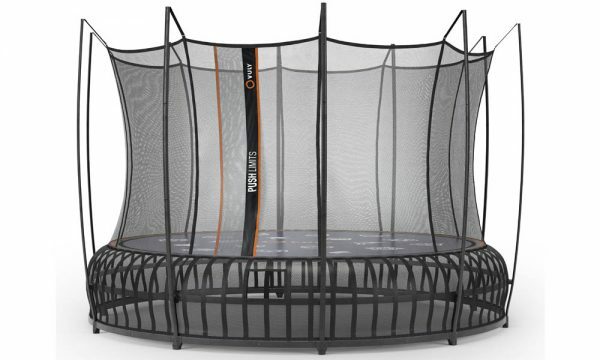 One of the best and unique safety features of the Vuly Trampoline is it's safety net. 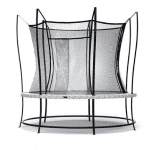 It is the tallest net on the market and will make sure that anyone bouncing will remain inside. This safety net is equipped with a unique design. There is no zipper to get caught in. The safety net is extremely secure so you don’t have to worry about your child zipping the net up, or accidentally falling out this way. Arguably the best feature of the Vuly Thunder Trampoline is the edge, if that is even the right word to use? 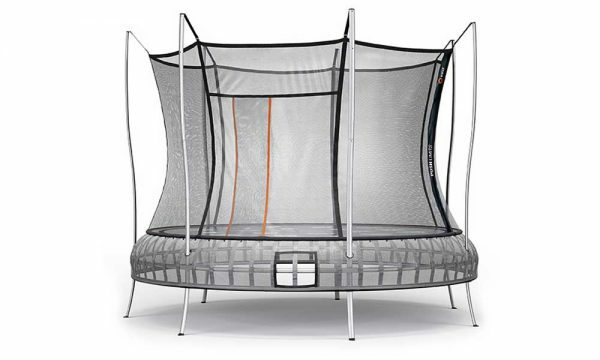 The mat and safety net are seamlessly connected to the frame giving it a soft, cushioned impact anywhere your kids land. Even right up to the edge. At last, a trampoline your legs can't be trapped in or catapult out of! We push the limits of engineering, design and technology to create the world's most amazing trampolines for our customers. Our revolutionary products are the result of a fierce determination to pioneer the very best trampolines, countless hours of hard work, and an ingenuity that transcends that of all competitors. It is here at Vuly that we turn dreams into reality. The team at Vuly knows that things don't always have to be the way they are. Taking inspiration from our namesake, Vulcan, Roman God of Fire, our young, vibrant and creative team consistently breathes life into products previously unimagined. As part of our mission to provide trampolines with the best possible bounce, we create the best materials to rigorously combine safety, strength, form and functionality. Our trampolines provide a safe environment for kids, families, and even parents to enjoy the thrill of the trampoline experience. Our ground-breaking creativity and innovation has seen the development of state of the art Vuly Trampolines that can now be found in backyards all over the world. *Please Note: The Shade Cover Special at the end is NOT Valid. 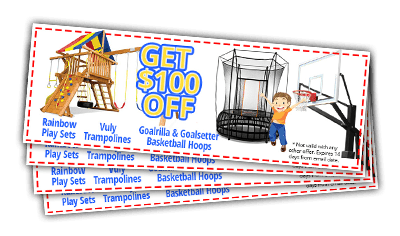 The offer was in 2017 but your Vuly Trampoline model is built brand new! 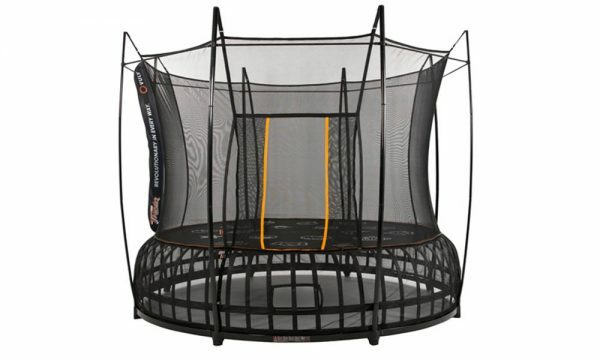 Shopping for Trampolines Just got a Whole Lot Easier! When you’re looking for a trampoline for your family, only the best will do. You want strength, durability, safety and value. The revolutionary design of the Vuly Thunder puts it (and you!) head and shoulders above the competition. Featuring the strongest bounce of any recreational trampoline on the market, industrial-strength durability and Vuly’s exclusive Leaf Springs for unparalleled safety, the Vuly Thunder is, hands down, the best round tramp on the market. 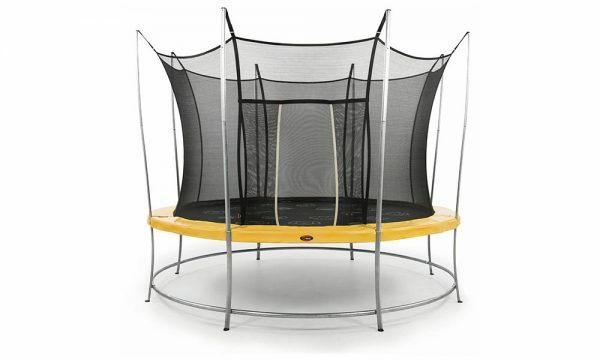 When shopping for a round tramp with enclosures, there is no shortage of options on the market. 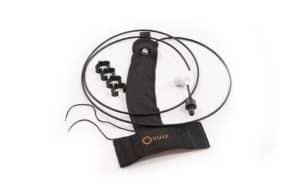 There will be no need to consider anything else once you see how the Vuly Thunder has been expertly engineered using innovative approaches designed to keep your family safe and active. Only Vuly Thunder trampolines are created with your family’s safety in mind. Using our revolutionary Leaf Springs and soft edges, jumpers get superior bounce with no coil springs to fall through. And with our expertly crafted trampoline enclosure, jumpers will experience a sleek design that resists net grazes and falls. The Vuly Thunder features a strong, durable frame providing unmatched safety, longevity and bounce. Unlike flimsier models, Vuly Thunder trampolines feature the unmatched strength and durability you can only get from a team of industrial designers. 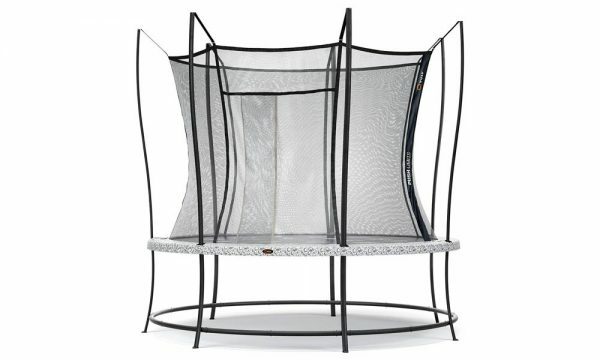 The trampoline frame is further bolstered by an exclusive finish that is resistant to cracking, rusting and scratching. Vuly’s expertise combined with superior design and materials ensures you get a tramp with enclosures that will stand the test of time. The Vuly Thunder’s award-winning design is not only safe and functional, but pleasing to the eye as well. 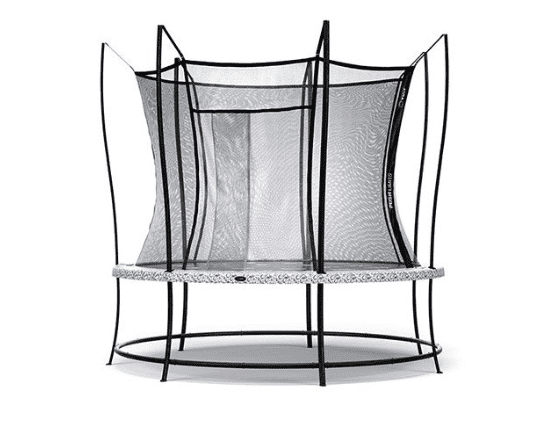 Gone are the days of staring out the window at a tangled mass of metal and springs—you will be the envy of the neighborhood when you have a trampoline with a design this sleek and impressive! "I am a physician and have been against trampolines for years. My kids finally wore me down, but I wanted to do it on my terms. 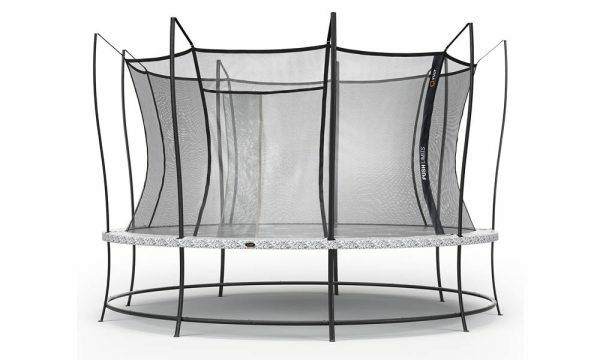 I researched for probably 2 weeks on which trampoline had the best design, safety, and spring. We finally settled on the Vuly Lift. This trampoline took my 13 year old daughter and I less than an hour to put this together without any tools other than the spring grasper that was provided." Tanya Says, "We have owned our Vuly trampoline for about 6 years. We have four children who have regularly used the trampoline on a daily basis. Our trampoline frame and mat are original and are showing little sign of wear and tear. We have had to purchase a replacement mat and nets, however, the ongoing service provided by Vuly was fantastic. We look forward to many more years of happiness from our Vuly trampoline." David Says, "We LOVE our Vuly Thunder. installed pretty easily in less than 2 hours (most work was leveling the ground), and we can't keep our 4 kids off it. its safe, and one of the best features we didn't even know about was the entrance. it doesn't have the zip that kids often forget to close, it has an overlapping door, so kids don't need to do anything to close, and keep it safe." 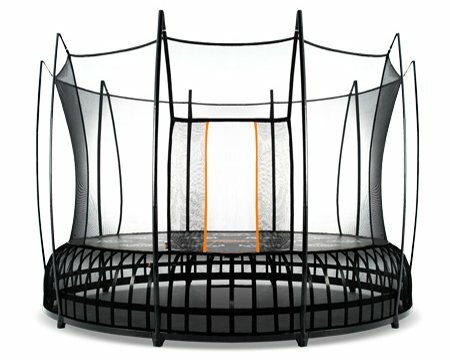 What Makes a Vuly Trampoline Safer Than Other Models? Vuly Trampolines are designed with high quality, soft stitched materials without using a single nut or bolt. Say farewell to fingers and toes getting caught. Unlike traditional coil springs and rods, the newly designed leaf springs enable a perfectly upright and vertical bounce to ensure safety on developing joints. This greatly reduces the chance of injury compared to some of the competitions springfree products. Vuly Trampolines were granted the Good Design Award for their innovative idea of the Leaf Spring for trampolines in 2014. Vuly formulated a way to utilize leaf spring technology rather than older methods to generate a rebounding bounce lifting you into the air. Leaf springs neutralizes the ridged metal frame around the rim of the trampoline. Say good bye to the safety hazards impacting the jumpers. The leaf spring system also provides extra bounce in your jump. Leaf Springs also allow for the safety side nets to be directly attached to the springs, meaning no trapped ankles or hands. How Many Models Do You Have? Do You Offer Financing And A Warranty? Yes! 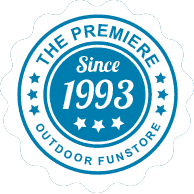 We offer both Warranties and Financing for our Vuly Trampoline Models. Please give us a call to see if you are eligible for financing.